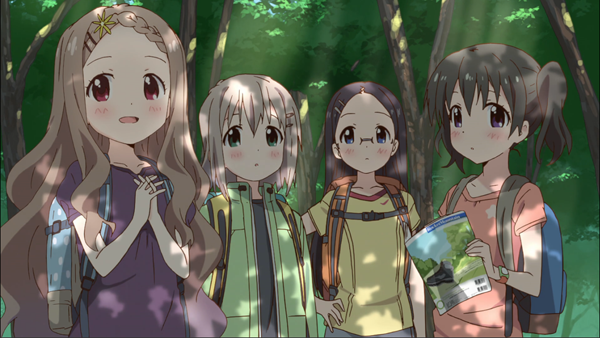 Picking up from last season, season 2 continues the adventures of Aoi, Hinata, Kaede, and Kokona as they climb various mountains in Japan. This time, the girls set their sights high and with plans of climbing bigger mountains than ever before and maybe even visit the mountain of Aoi and Hinata’s childhood. It’s clear season 2 got a bigger budget this time around. Everything looks more visually pleasing. Once again the brown outlines around characters create a soft look that compliments the general tone of the show. In addition the show has some amazing looking set pieces. For a show about mountain climbing, the animators took extra care to make sure the foliage and backgrounds look top notch. The whole visual experience makes the mountains appear really appealing. The show is a real joy to look at. The only real downside to the show’s visual is when it uses CGI for certain transportation methods. 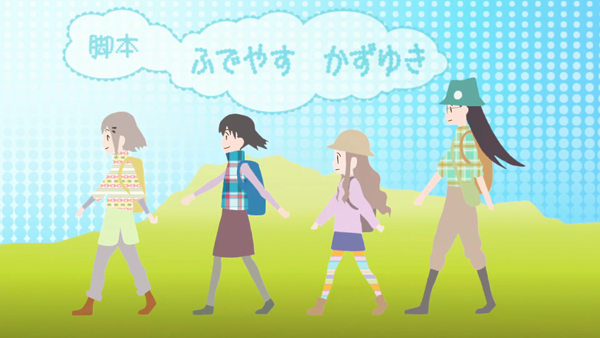 Fortunately, because the girls travel by foot most of the time, the CGI occurs very few and far between. And while I’m mentioning the negatives, the show has a few really odd fanservice scenes early on that really don’t fit the show. I’m happy to report that they do cut that crap out later on. Therefore, the latter half of the show doesn't have any scenes like that. In the first season, Encouragement of Climb had to cram a lot story and had to rush through the mountain climbing to fit everything into its limited running time. Since season 2 has an over 650% increase in time, the show is given more time to tell its story. Mountain trips can now take multiple episodes to complete and actually features scenarios that take place in between each trip. The downtime especially allows the viewers to learn more about each girl and how they tackle climbing related issues before the climb (ex: buying supplies, completing homework, getting parents’ approval). I also especially enjoyed all the information about mountain climbing that was shared throughout the series. What’s especially impressive is how the info flows naturally into their conversations. Kaede is the only one who’s very knowledgeable on the subject, so of course the other girls would want to learn more. The music is also very strong in season 2, perfectly complementing whatever tone it wants to convey to the audience. I especially enjoy the piano theme that plays during especially important parts that transitions into the oboe. If you’ve seen the show, you know which song I’m talking about. The show also has a really strong set of ending and opening sequences. The first opening is especially excellent and I would easily consider it to be one of the best openings of 2014. The use of unmoving plaid really makes the first opening stand out. 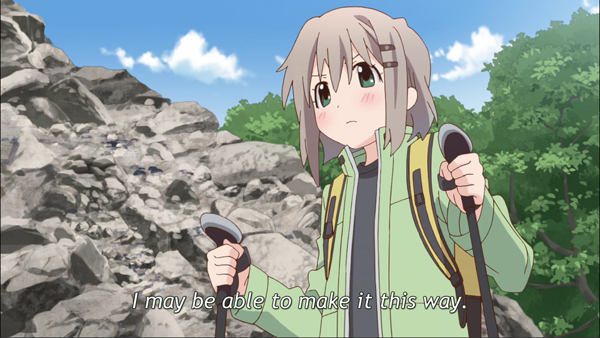 Whenever I talked about Encouragement of Climb, I would always refer to it as “The HYPEST show about mountain climbing!” While it was always intended as a joke, there was always a layer of truth to it. As I write this review, it’s become clear to me why I enjoy this show so much. Despite how it looks at its surface, Encouragement of Climb has always been about Aoi. Aoi is an introvert. She has issues with socializing and stepping out of her comfort zone. She told herself she was happy with the way things were but in truth, she wasn’t. Then Hinata re-entered her life and Kaede and Kokona joined as well. Together, the four set out to experience amazing things and reach new literal heights. But sometimes obstacles get in your way. And sometimes we can’t overcome those obstacles. But how we handle those obstacles and failures is what defines us and makes those victories feel so much better. Every situation feels realistic and I’m sure plenty of people can relate to Aoi. Because nothing presented in the show can only exist in fantasy, it makes me want to see these girls succeed, and makes me really happy when they do. 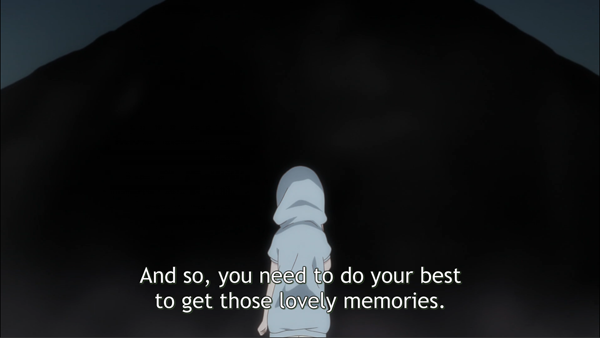 It may sound silly, but I do find Encouragement of Climb Season 2 to be a really inspirational and I’m glad I watched it. If I haven’t made myself clear, I loved watching Encouragement of Climb Season 2 and I hope you’re willing to give it a shot. 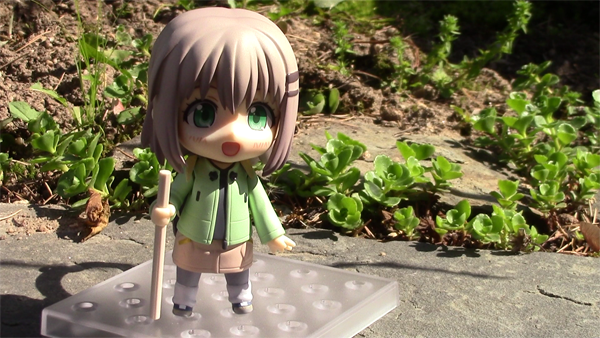 To give you one final illustration of my feelings for the show, let me tell you this: I don’t purchase anime figures. I don’t have a lot of space to put them and I’m not willing to spend $50+ on each one. That said, earlier this year I decided to make an exception. Yea, I love this show. Let me make one final point: I’m glade season 2 exists. The first season ended with the message of “See you next time!”; a message that needed to be followed up on due to having unfinished business. I’m glad Encouragement of Climb was given that chance with more time and more episodes. This season ended much more concretely. So even though I would love to see more, I’m perfectly fine with this being the end. That way I can look back at the show with fond memories and maybe go on my own adventure one day.